The Backyard Homestead will be an invaluable resource for you as you begin your yardfarming adventures. It takes you through the ins and outs of planting and caring for vegetables and fruits depending on your yard size, where you live, and what your personal preferences are—and that’s just the beginning! The first section discusses the overall design and implementation of your homestead depending on the size of your yard. 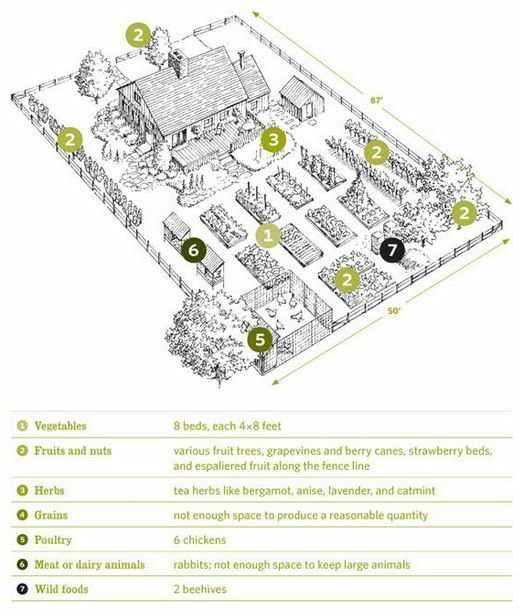 The example layout pictured here shows a possible setup of a garden on one tenth of an acre. 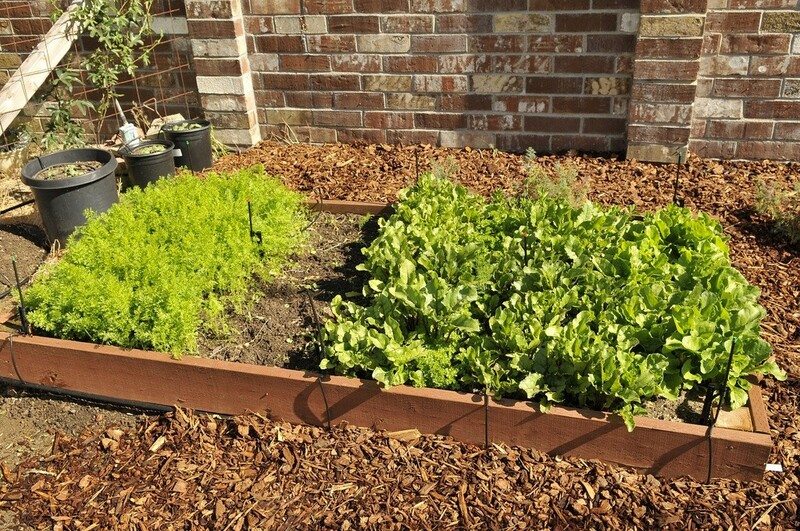 This can be modified for even smaller yards as well, as even a small vegetable garden can produce an abundance of food throughout a growing season. The chapters on vegetables, fruits, nuts, and herbs provide you with the information needed to produce high yields, to have the healthiest garden and soil, and to continue to have a successful garden year after year. These chapters also give you the knowledge of the best growing seasons and best locations to grow around the country (see USDA Plant Hardiness Zones) for each plant. Once you are comfortable with a basic garden, there are many tips for experimenting with your homestead produce, including ways to extend your growing season, make your own wine or apple cider, and preserve your fruits and vegetables so they are available throughout the winter season. There are even recipes for different wines, jams, and vinegars for you to try. Additional topics in the book include information on raising poultry for eggs and meat and raising larger livestock for meat and dairy. Of course, if you plan to raise livestock you will need a larger space (or perhaps a neighbor’s lawn to graze), but even if you do not plan on raising animals these chapters still have valuable information for making informed decisions on purchasing meat and dairy products at the supermarket. An interesting and informative chapter in this book is on growing your own grains. There is extensive information on growing and harvesting a variety of grains, making your own fresh, flavorful corn meal and whole-wheat bread, and experimenting with home-brewing with a few beer recipes to try. Another interesting chapter is at the very end of this book that describes how you that you can start collecting hand-picked, wild foods from all around you (for a map of already identified wild foods visit here: blog post on foraging). 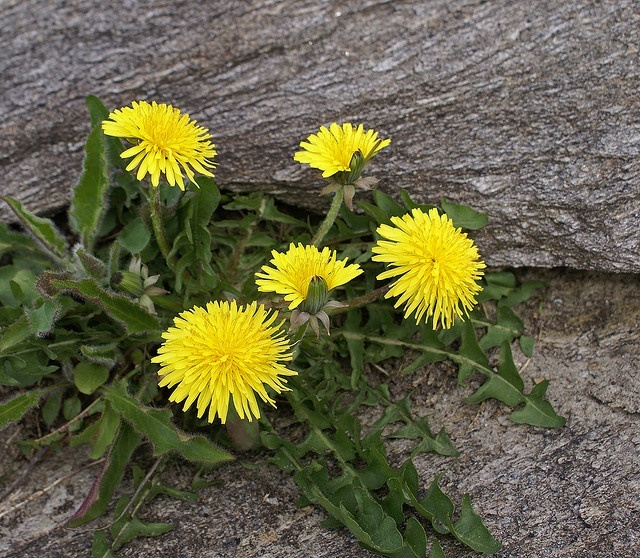 This chapter has information on the many uses of wild plants (who knew you could make your own coffee and wine from dandelions? ), beekeeping and harvesting honey, and collecting sugar maple sap for syrup making. The Backyard Homestead is a great resource for both the beginner and the experienced yardfarmer. Although the multitude of information may seem overwhelming at first, it is presented in an easy to understand, thoughtful manner. You do not have to attempt everything in the book in your first year as a yardfarmer—just get the basics down and then expand and experiment from year to year and have fun with it!